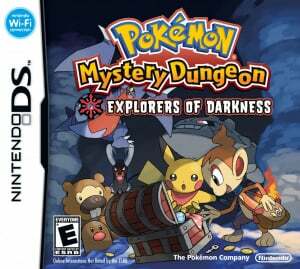 Sorry, no review of Pokémon Mystery Dungeon: Explorers of Time / Darkness yet. For years, Pokémon fans have captured and battled with Pokémon. 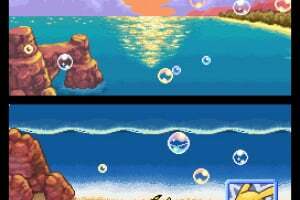 Now, a pair of new games invites players to become Pokémon, returning to a fantastic land untouched by humans and inhabited only by Pokémon. Players must join a Pokémon guild and start a journey to find out why they've been turned into Pokémon, all the while trying to stop a misguided thief bent on stopping time and plunging the world into darkness. 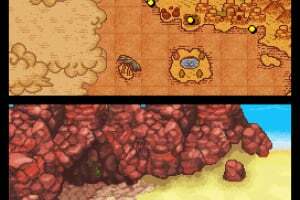 In both games, randomly generated dungeons make every mission unique-players never see the same dungeon twice. Strategic battles enhance the adventure, and with hundreds of Pokémon, items and moves, the action has never been so intense. With more than 490 Pokémon appearing in the two games, players are sure to find their favorite Pokémon. All of these Pokémon can eventually join players' expedition teams, offering limitless options when forming a team for their next journey. Players now can use Nintendo® Wi-Fi Connection to rescue friends in trouble, or send out an SOS Mail if they are in need of rescue. 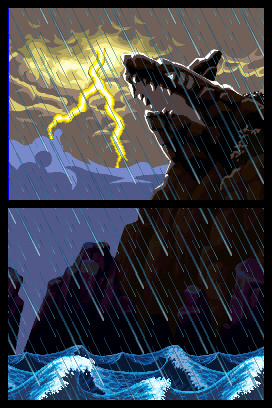 Rescue notification messages can be received via PC or cell phone, so players always know when a friend is in trouble. There are also new special items that can be traded wirelessly. 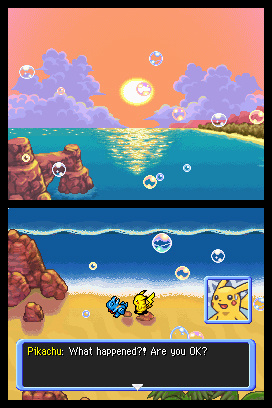 Game storyline: The same engaging storyline drives both Pokémon Mystery Dungeon: Explorers of Time and Pokémon Mystery Dungeon: Explorers of Darkness: Waking up on a beach with no recollection of how they got there, players suddenly find themselves being addressed by a Pokémon - proof that they've been turned into Pokémon themselves. After a brief and bewildering conversation, this friendly Pokémon encourages players to join an exploration guild and seek out the reason for this mysterious transformation. 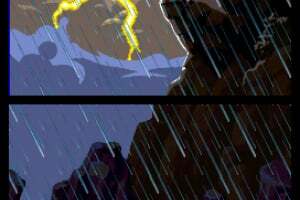 But there's more than one Pokémon who's out of place in this world: Someone has traveled back in time and is trying to steal special items called Time Gears, thus halting time and blanketing the world in perpetual darkness. 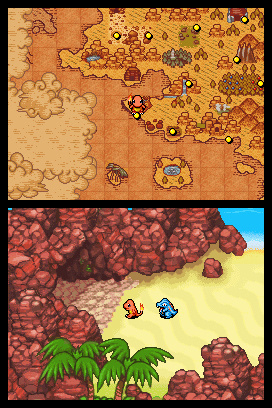 Players must rally their exploration teams and, with the help of the guild, find and prevent their enemy from destroying the world. 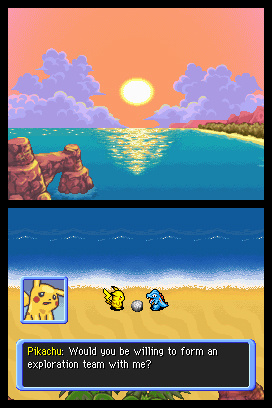 Set in a land inhabited solely by Pokémon, it's a deeply moving story of exploration, betrayal, adventure and - most of all - friendship. 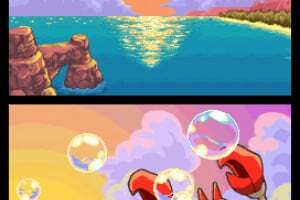 How to progress through the games: Players join an exploration guild and set out on a mission to find treasure and help other Pokémon in trouble. There are many dungeons and various floors to explore, and because the layout of each dungeon is randomly generated, they're different every time. 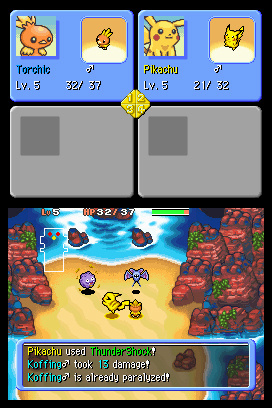 When players perform an action such as walking or attacking, the opponent Pokémon in the dungeon will perform an action, no matter where they are in the dungeon. 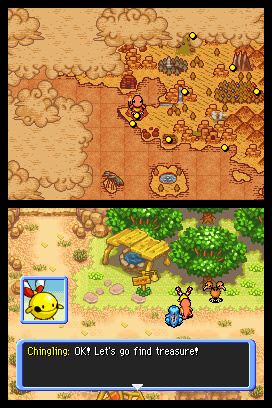 To clear dungeons and complete missions, strategy and logic are key. Characters: By answering a series of personality questions at the start of a game, players become one of 16 different Pokémon that best suits them. 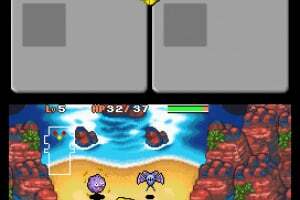 Players then must choose one Pokémon to be a partner. More than 490 Pokémon can become players' friends and join their exploration teams, including all of the new Diamond and Pearl Pokémon. 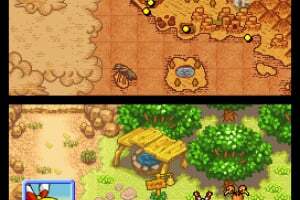 Special powers/weapons/moves/features: The graphics have been greatly improved from the last Dungeon games. 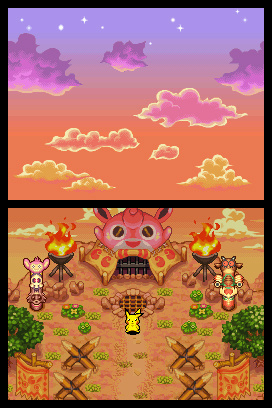 More detailed dungeons and environments draw players even further into the fantastic, vibrant world of Pokémon. The new games also employ a turn-based battle system that is far different from other traditional Pokémon games. 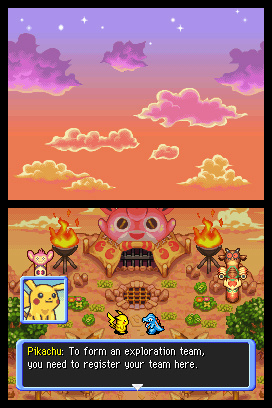 As in the previous Pokémon Dungeon game, players can ask other players to come to their rescue when their team is defeated in a dungeon. 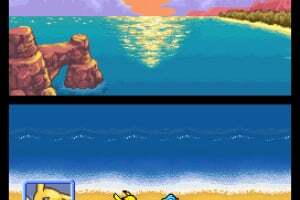 Normally, when players are defeated, they lose their money and some items. 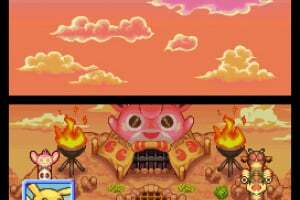 However, if a friend succeeds in rescuing them, players now can continue their adventure from where they left off without losing any money or items. Also, instead of the previous password system, players now have the option to send out a rescue request using Nintendo Wi-Fi Connection or an e-mail message, so help is never far away. Because players have become Pokémon, they now can fully communicate with other Pokémon. 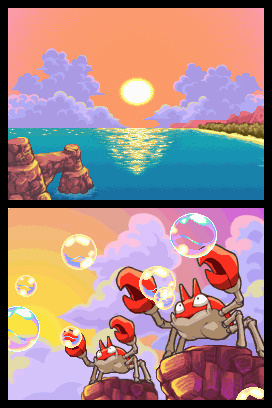 Instead of using a Poké Ball to capture Pokémon as in past games, players must use diplomacy to recruit them to join their expedition team. They also have the ability to link together a Pokémon's moves and use up to four together for a devastating combo. 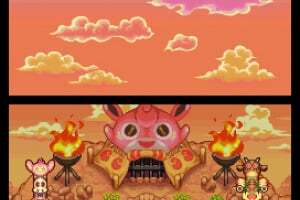 If You Are A Fan Of Pokemon And You Don't Get This Game Then You Are Crazy! one of the best games i have ever played. filled with drama and emotion. this game is not bad.I have darkness and it is very fun! what do you do now that you are at this website. I wish there was more plot to this. I've completed this game over 5 times and it never gets old. My favorite DS game of all time. Gates to infinity was a big disappointment. Bring this to the Wii U e-shop please! This is basically like explorers of sky, but with different things.